the mixture is syrupy. Remove from heat and let cool. Blend mango, lime juice, salt and the syrup. Blend until very smooth. Pour into popsicle molds and cover. OR pour into ice cube trays. Freeze for about 4 hours, or until solid. Leave about 1/4 inch at the top of the mold to allow for expansion. Insert popsicle sticks into the molds after about an hour, when the popsicles are partially frozen. 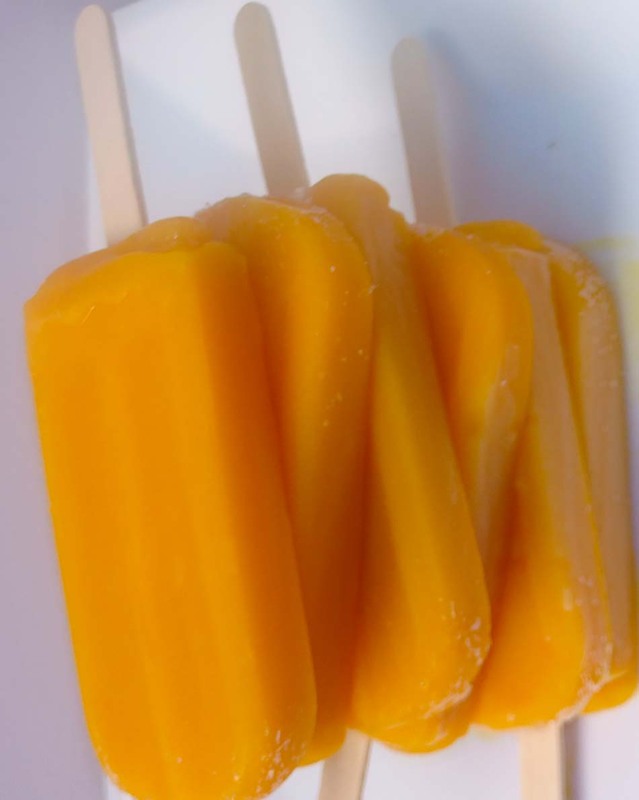 Make straight up popsicles or ice cube pops to put into summer drinks or water to kick up the taste.